Welcome in Montbernard 70 km S.W. from Toulouse Airport. 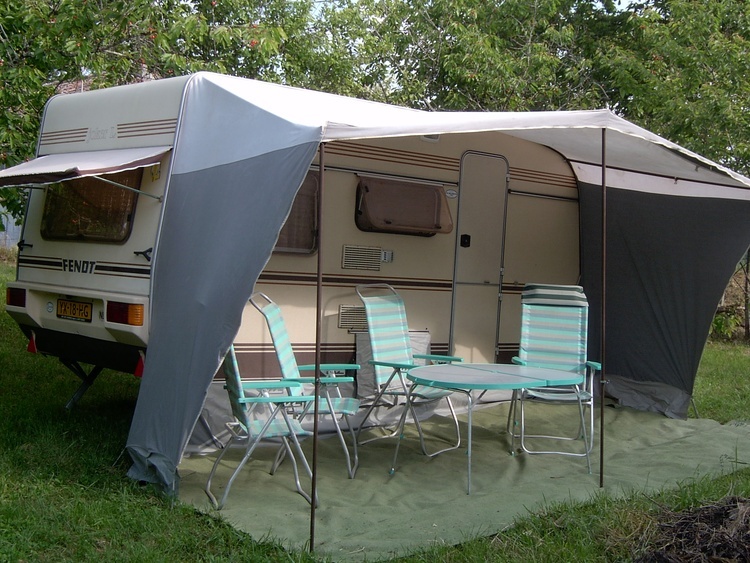 - 2 holiday rentals: 1 fully equipped tent +1 caravan. 31230, Europe, France, Midi-Pyrenees, Haute-Garonne ,Montbernard. 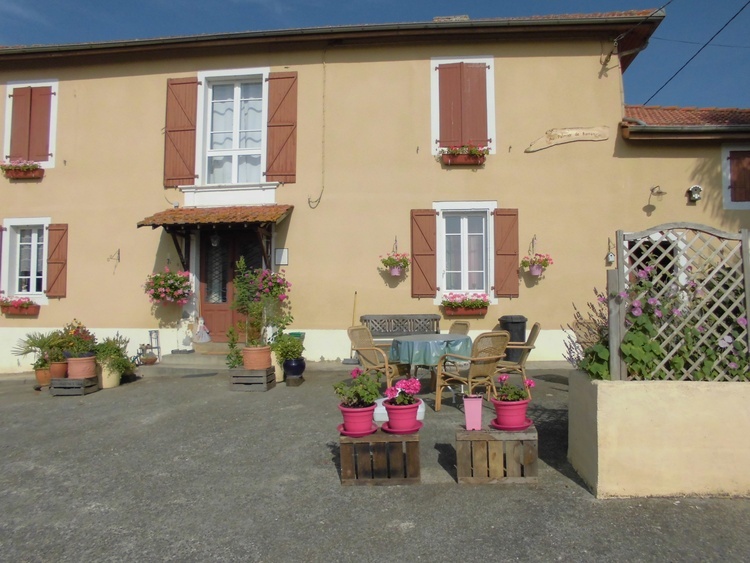 The house is a former 18th century Gascony farmhouse. 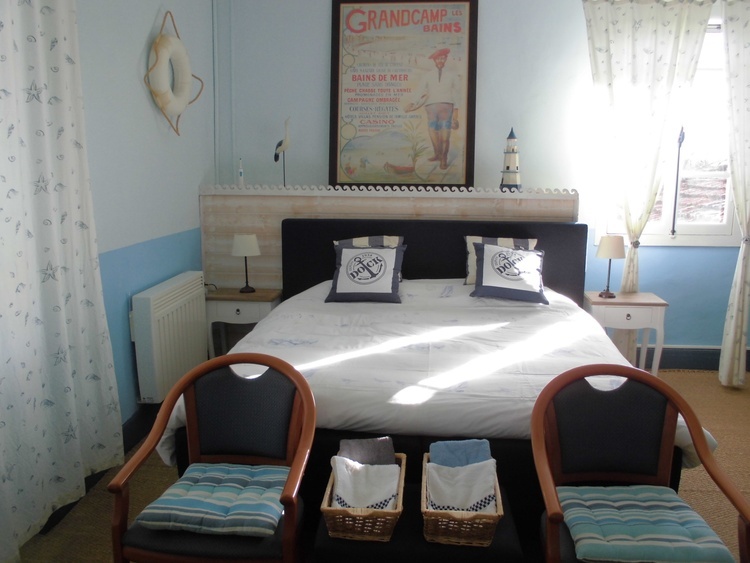 We offer 2 double rooms and 1 triple room, all spacious and on the first floor. Each room has its own decoration, private bathroom with wc, coffee/tea making facilities. In 2019 the season starts on April 5th till October 20th. 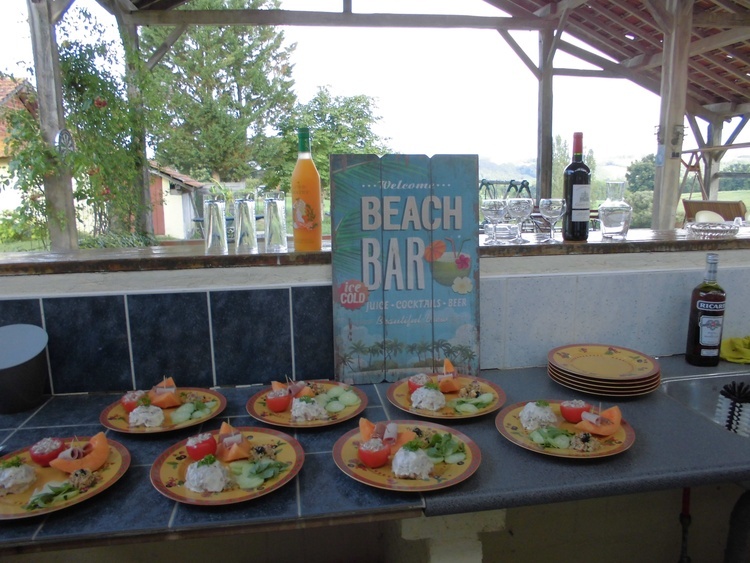 For your enjoyment and relaxation there are sunny terraces with sun-beds, a sheltered swimming pool, a closed parking area, a playground for children, darts and table tennis. Each evening you can discover regional gastronomy and Monique’s own specialities prepared with first class local products according to tradition. It includes a full 3 course menu with wine and coffee: € 30 p.p. You are welcome to join us but this must be booked 24h in advance. 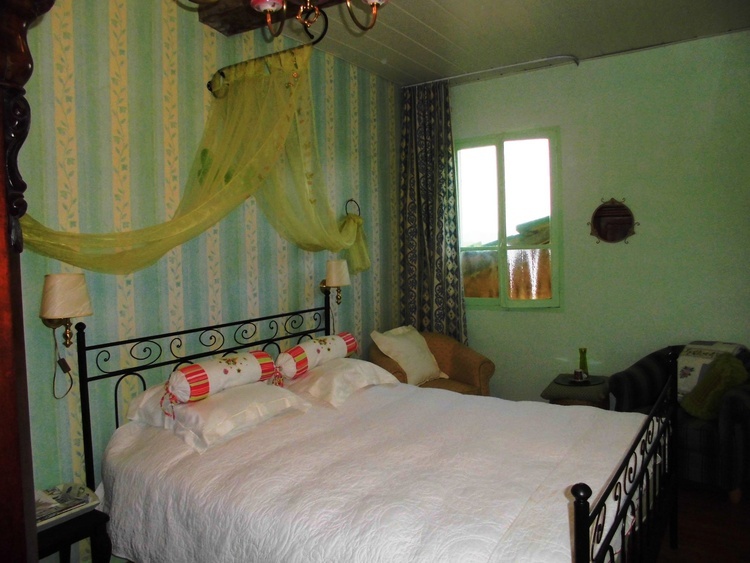 B&B « Au Palmier de Barran » in Montbernard is 70 km S.W. from Toulouse Airport. 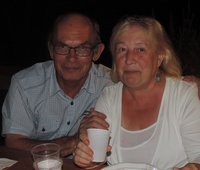 Because of it's situation at only 1 hour drive from the Spanish border, it's also very suitable for an overnight stay en route to Spain or Portugal. Our house is surrounded by meadows, forests, cornfields, and sunflowers. 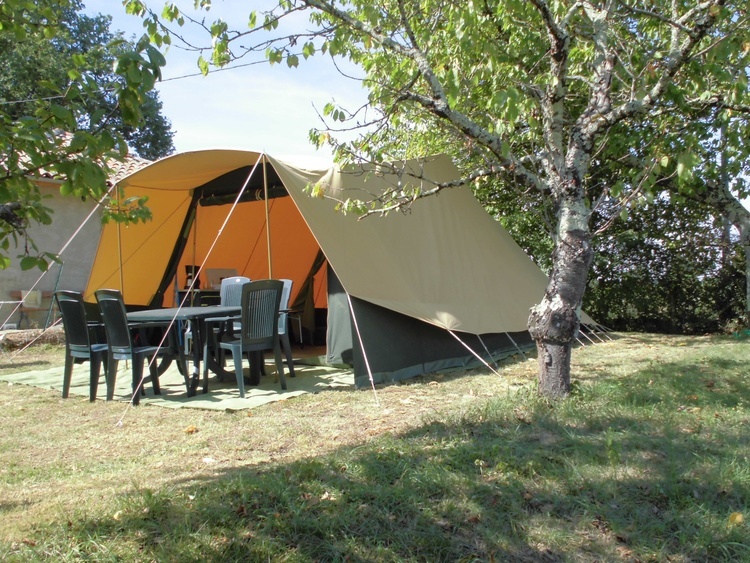 Occitanie, in the heart of South-West of France is very well known for its sunny climate, gastronomy, wine and beautiful landscapes. 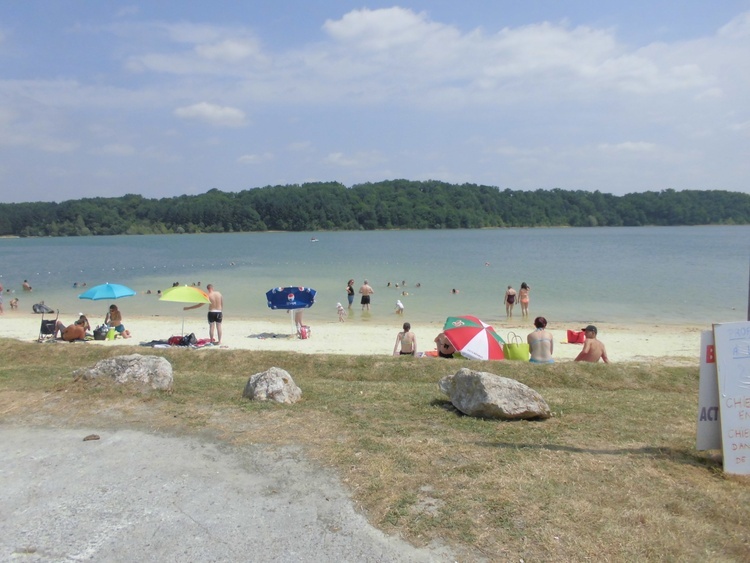 Our department Haute- Garonne extends to the Spanish border. 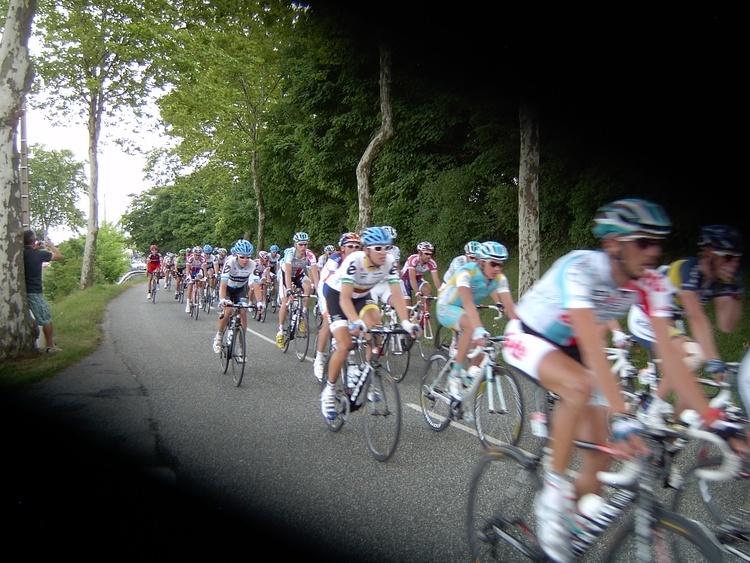 Every year, the world famous « Tour de France » route includes several days in the Pyrenees. 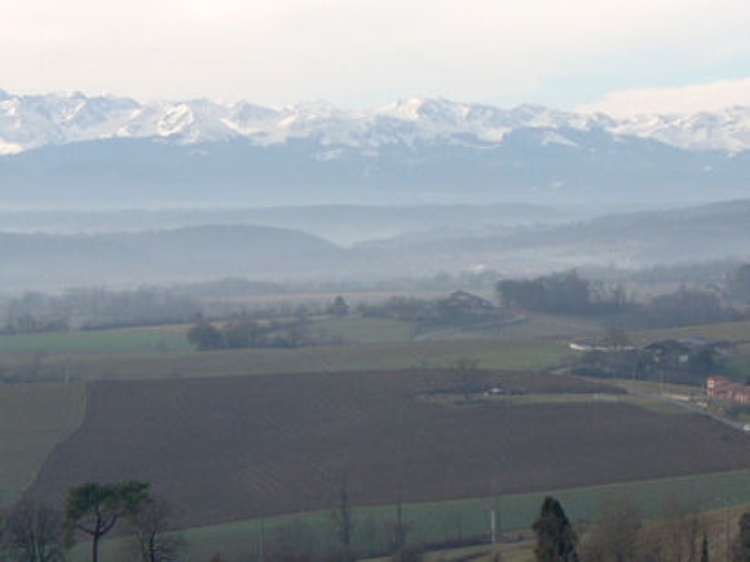 At the foot of the mountains, the Gascony hills are often compared with Toscany in Italy. Mein Name ist Monique. Ich bin in Belgien geboren und mein Mann Ton ist Niederländer. Wir wohnen seit 1999 in Montbernard und empfangen seit 18 Jahre Gäste in unserem B&B.